The death threats from a banned Islamic group demand store owners enforce eight specific rules. These include having a copy of the Koran, serving beef in Hindu restaurants, not allowing women workers, removing Christian sacred images. 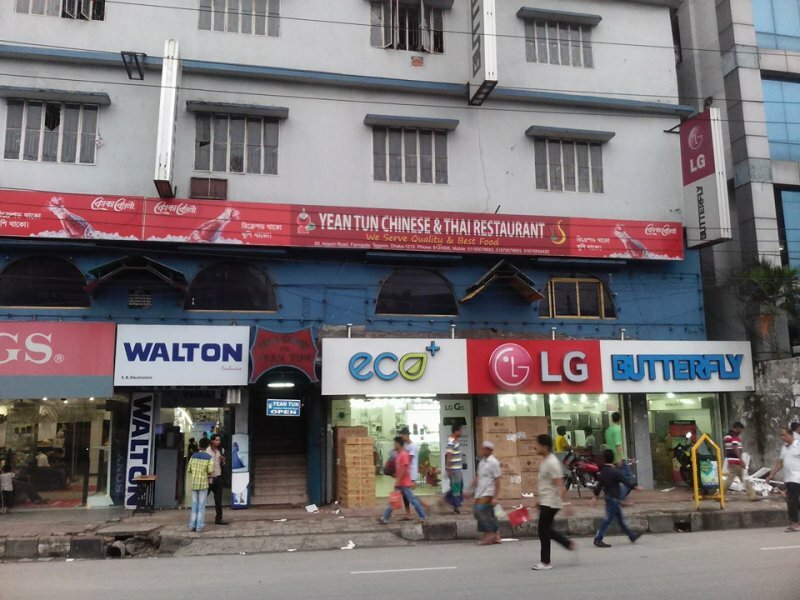 Dhaka (AsiaNews) - Christians and Hindus owners of shops, restaurants, hotels and other businesses are being threatened with death if they do not comply with a list of eight Islamic rules. The death threats, contained in a leaflet, were delivered to dealers by members of the Islamic Khalafot Mojahidin Bangladesh (Ikmb), an Islamist group banned in Bangladesh. Following the intimidation and attack in the Dhaka coffee shop, non-Muslim traders are now living in fear, but say they are not going to surrender. Albert Prodip Baperi, a Catholic who manages the Sino-Thai Yean Tun restaurant, told AsiaNews: "I will die, but I will not comply with the militants rules”. The Catholic says: "A stranger handed me this flyer and then moved away from our counter. We reported the incident to the local police station. " The letter was delivered a few months ago to his restaurant, which also organizes wedding receptions and birthday parties, as well as to some five-star hotels and other shops run by non-Muslim staff. Since that time the stores have placed high security measures and hired private security guards. The directives are clear. Commercial establishments must comply with eight rules: their entrance must bear the inscription "Bismillah Rahman Rahim" [the invocation "In the name of Allah, the Clement, the Merciful" the opening lines of the Koran’s surah’s, ed]; have a copy of the Koran; have an image of Kaba Sharif [the cubic building in the center of the mosque in Mecca, considered the holiest place of Islam - ed]; remove paintings or sacred statues of their own religion; have a dedicated space for Muslim customers to pray; not serve haram (forbidden) food such as pork and if Muslims customers order beef in a Hindu restaurant [considered sacred by Hinduism], they must be served beef; closure of restaurants during the month of Ramadan; no music of any kind, except Islamic songs; women forbidden to work and, if they must then they must wear a hijab [headscarf] or bhurka [the dress that covers from head to toe, leaving only the eyes uncovered]. The penalty for those who contravene these guidelines is one: death at the hands of Ikmb militants. A Catholic restaurateur reports: "In our restaurant there are images of Jesus and Mary, and they will remain where they are." Even the Christian Co-Operative Credit Union Ltd, the largest cooperatives of micro-credit in Bangladesh, run by Catholics, has received threats. Hemento Corraya, the secretary, says: "We have been the subject of threats. We have raised the alert levels in our offices. It is very sad that the Islamic fundamentalists are trying to control us by force. We have sought police help to guarantee our security".